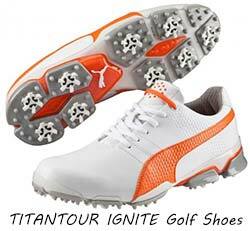 In recent year’s Puma has really established itself and held its own with some really great performing product. The PUMA story is an interesting one for a quick historical brand lesson personally I find this as one of the most intriguing ones out there. The company was formed in 1924 by The Dassler brothers as Gebrüder Dassler Schuhfabrik by Adolf and Rudolf, 2 brothers at the helm of sporting brand history. Over time things went sour and they went their separate ways in 1948, forming two separate entities Adidas and PUMA. Both companies started in Herzogenaurach, Germany. With the nickname of "the town of bent necks" people lookig around to see which sneakers you were wearing. Puma listed on the German stock exchange in 1986 and in 1989, Rudolf's sons sold their 72% to Swiss business Cosa Liebermann SA. Wonder how the boys feel about that today as the brand is a major contender. Fast-forward to 2016, Modern Golf, Rickie Fowler and introducing the latest. These golf spikes are cool, so cool that come with their own Twitter hashtag #IGNITEit, Technically let’s get straight into these puppies as there is a lot of good stuff to point out. IGNITE Foam – This is patented, protected and very special foam. Being very responsive and extremely comfortable. Functionally the IGNITE foam provides energy return and stability. 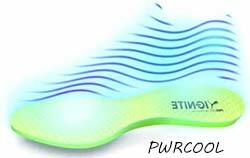 PWRCOOL powered by Outlast® - Temperature regulating material in the sock liner and I have no idea how this truly works but by using specific materials to store, retain and release excess heat in the shoe. Premium Materials - It's a leather shoe, and PUMA says it's durable. 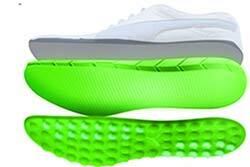 DUOFLEX SOLE - The sole is cut up into individual segments which optimise swing stability and strength. They’re currently available in three colorways: (White, White -Black), (Green-White-Blue), and (Black-Black-White). I was very fortunate to receive a pair of these as part of the media drive promoting the range. No better way than receiving them just before a client golf day on a magnificent Friday morning. Out the box onto the course and the closest feeling ill ever get to Rickie Fowler. Walked 18 in them with my trusty Clicgear and the overall feeling was truly great. No pain as my feet tend to be a bit funny but they (the Ignite’s) do look as comfortable as they feel. 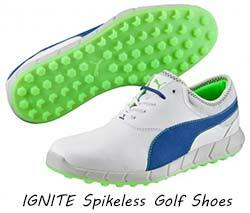 Spikeless shoes have become very popular in recent years with many Tour Pro’s going that route. Then we know that the ultimate performance is there. Incorporating its own design using the latest materials and tech. Using the same patented Ignite foam through the entire shoe. 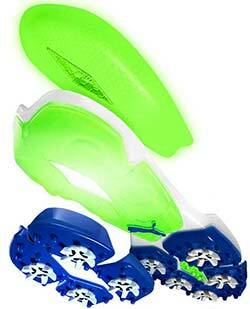 GripZone traction on the soles, by way of 39 hexagonal and 24 chevron-shaped spikes for multi-directional traction. A comfort collar around the top of the shoe full-grain leather. 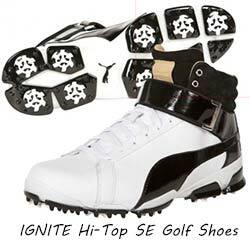 The IGNITE’s are really in that elite category with a 5-star “maximum” rating. They’re currently available in three colour ways: (Green-White-Blue), (White, Gray, Red) and Black-Black-White). 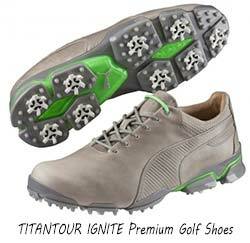 ​(currently): Titan TourIgnite: R2,799 / IGNITE Spikeless R1,899. Follow Puma Golf @ twitter.com/PUMAGolf.